New product development (NPD) consists of workflow, decision and information flow across multiple functions in an organization. Managing and mitigating risk for each project and the entire portfolio of projects is an essential management activity during NPD. A company’s ability to understand and manage risk can mean the difference between financial success and disaster. In developing products for the medical device industry, meeting FDA requirements presents an additional risk factor not found in other industries. 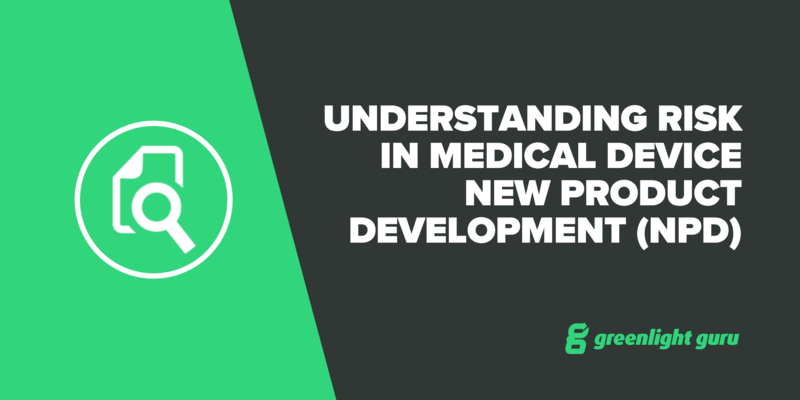 This article will address three important sources of risk in developing medical devices and suggestions on how to manage. 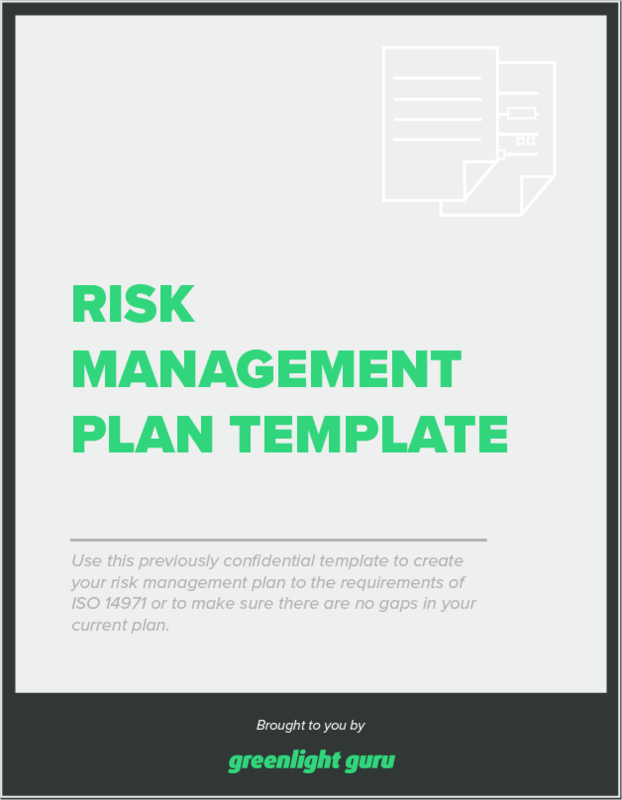 Free Resource: Click here to download your free Risk Management Plan Template. The first and perhaps the most important risk in developing medical devices is at the product level. It is the risk associated with the safety and efficacy of the medical device when used by or on the patient. It can be associated with short term risks, such as immediate injury when the product is used, or long-term risks associated with the product. This is the risk that the FDA is concerned with. Of course no medical device manufacturer wants to harm the consumer, so complying with these regulations is not in conflict with the goal of the manufacturer. Namely, to provide a safe and effective device that helps solve a medical issue and provides the manufacturer a return on investment. Nonetheless, satisfying the FDA regulatory requirements is a significant expense and source of risk to bring a product to market. For those developing medical devices, you will no doubt be familiar with ISO 14971 which provides guidance and direction on risk management. An excellent source of information is “The Definitive Guide to ISO 14971 Risk Management for Medical Devices” by Jon Speer of Greenlight Guru. Jon is a recognized authority on FDA regulatory requirements. In managing this source of risk, you must first understand the requirements and that’s why understanding ISO 14971 is so vital. Beyond understanding the regulatory requirements, having an effective system in place for document management, design controls, design reviews and risk management is an imperative for any medical device manufacturer. This can be done using multiple common tools such as Microsoft products, Dropbox, etc. but leads to significant wasted time, compared to an online, cloud-based tool such as the solution provided by Greenlight Guru. An effective tool can not only reduce your expense to comply, but speed your time to market and simultaneously reduce your biggest risk in going to market: satisfying the FDA. The second major aspect of risk is from a project management standpoint. This risk goes beyond the product technology and safety risk, but influences for instance what project management tools the project manager should use at any point in time during the project. These tools will likely change through the life of most projects. It will influence how the project schedule will be established and how likely the team will be in meeting that schedule. A seasoned project manager can make a significant positive impact, especially for those projects that have high degrees of uncertainty. Project risk comes in various forms. Sources of uncertainty can include normal variation, foreseeable events or the dreaded unforeseeable uncertainty, otherwise known as “unknown unknowns”. On top of uncertainty, there is complexity. Complex products or projects have many discrete parts that interact with one another to form complex systems. These sources of project risk can be associated with the product design, the market, both the design and the market, or perhaps the business model. A correct assessment of the type of risk a project faces will influence the project management tool(s) used. For instance, trying to manage a project dominated by “unk unks” combined with complexity using a Gantt chart is frankly a waste of time. An excellent source of additional information on this aspect of risk can be found in “How Project Risk Impacts Project Management in New Product Development (NPD)”. he earlier the risk factor is identified, the more likely a team can mitigate and manage the risk, rather than ignore it. This can also apply to the overall portfolio of projects. In that case, we are interested in identifying systemic risks across the entire portfolio of projects. For instance, maybe all projects suffer from a lack of understanding of the market. This might lead to evaluating the product management and marketing function as it applies to new product development. An excellent tool for quantifying overall project risk is NPD-RiskAssessor™. In addition to quantifying risk, the advantage of this tool that is based on a statistical model is its ability to identify those risk factors that are pushing the project closer to success or failure. These can be related to the schedule, the budget, understanding customer needs, or any number of factors associated with the project and its ultimate market success. Another benefit is that the tool is used in the context of a team building activity that can help foster the conditions for a high-performance team. For more information about this powerful tool, see “Quantifying Project Risk in New Product Development (NPD)”. In summary, risk in medical device new product development is not just related to satisfying FDA regulations, important as that is. You must also understand the nature and source of overall project risk and how to choose the correct project management tools and quantify risk factors that can influence market success. Want to learn more? View this free 1-hour, on-demand webinar now. You will learn more about how Greenlight Guru software and technical resources can help you understand and manage the risk associated with meeting FDA regulations, managing project risk and how the NPD-RiskAssessor™ can quantify and manage risk factors that influence ultimate market success. Editor's Note: This is a guest post by Jeff Groh, President at New Product Visions and was originally published on their blog here. Jeff is the President at New Product Visions. New Product Visions helps companies improve their innovation management practices. They focus on processes, organization, management engagement and culture. Services include consulting, Innovation Coach™ Workshops and software enablers. Click here to learn more about their products and services.